Tricentis Tosca enables companies to test and assess business-critical enterprise applications with unprecedented effectiveness and efficiency. "One of the best tool available in market so far"
The ease of use, ability to integrate completely with Azure Devops work as well as CI pipeline makes it no 1 in the wishlist across my project. This is one of the best tool available in market if you are thinking of automation testing and integration with Azure DevOps. We are currently doing PoC on Tosca. The Tosca team is helping us a lot with weekly sessions where we can ask our questions. So far everyone in my project as well as other projects are finding this as top choice among tools we had done PoC in the past. We are going to do PoC on its ability to perform DB testing, its ability to work in tandem with our DevOps journey. Automation testing. We are still in PoC part but so far what we have learnt and features it looks like Tosca is the way to go. "Single tool which is required for Automation - Web, Windows, Mobile, API, Web-services, Middle-ware"
Needs a UI to be open and present when running the tests. Cannot visit the DOM like in Selenium. -Needs a UI to visualize the test case development. -Upgrades to the newer version may cause issues if custom engine build by own. Tricentis Tosca is a very good automation tool . One of the main benefit of Tosca is it is script less tool.It is very efficient and easy to use for any one . We can learn it within 10 days by referring their sample test on Tricentis site . If your Testing product is too complex then Tosca takes lot of time to run and successfully complete the test script. If a test script fails somewhere and then it stucks there and takes lot of time to complete it. One of the most important thing is it reduces the man effort once all the scripting done by creating buffer.Also no manual intervention required so you can run the test suite during night run as well. - Great User Interface and ease of checking all your artifacts of Testing. - Makes optimal use of Model-based Test practice in getting Object-references from the application. - Script-less, so less maintenance headache for non-technical users also. - Excellent re-use of Excel functionality for formulas and functions. - Conditions which let the test case branch off from the Template. Helps work out different scenario's for data. - Has been tried out on SAP, Oracle Apps and IBM COGNOS BI applications. With a few tweaks works well with these applications. - IF and LOOP statements introduced with the latest version. - Improved performance of Web Based Tests. WHILE LOOP and IF made better and more responsive with added error recovery options. - Intuitive based options available, along with a rudimentary record and play functionality. The only thing I am not happy about is not so much the product, but it's that we don’t a good way to control licenses. Sometimes people are using licenses at their desk and when they go home, they still have the license. There is no good way to control this. When we have an issue that someone tries to log in and they can’t, it’s down to the fact that someone has walked away with 3 licenses and they aren’t using them. - Upgrades to the newer version, if extra Add-ins are installed sometimes causes weird issues. - Needs a UI to be open and present when running the tests. Cannot visit the DOM like in Selenium. Tosca Testsuite is fully compatible with other testing solutions and Application Lifecycle Management products. 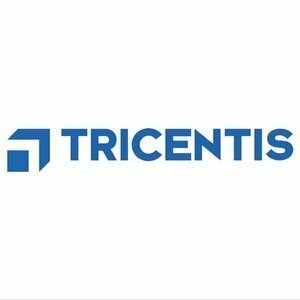 Tricentis also offers uniquely designed testing solutions for SAP, ServiceNow, Trax, Avaloq, and Oracle. I would say to reach out to their Great Customer Support, technical from the first step. We have, within the first six months, been able to automate 85% on our critical business processes and we have been able to maintain that while keeping our BCR ratio down. We have also seen about 234 defects per month in production to less than 8. "Automation Testing using Tricentis TOSCA Test Suite"
-Easy to understand and comfortable to implement business ideas. -Makes optimal use of Model-based Test practice in getting Object-references from the application. -Script-less, so less maintenance effort for non-technical users also. -Excellent re-use of Excel functionality for formulas and functions. -Conditional and Loop statements introduced with the latest version. -Has an integrated Requirements module, which provides reports on coverage of the work being implemented. -Needs a UI to be open and present when running the tests. Cannot visit the DOM like in Selenium. Functional and regression testing across platforms and browsers, REST-API calls. * We monitor all Tricentis Tosca reviews to prevent fraudulent reviews and keep review quality high. We do not post reviews by company employees or direct competitors. Validated reviews require the user to submit a screenshot of the product containing their user ID, in order to verify a user is an actual user of the product. Hi there! Are you looking to implement a solution like Tricentis Tosca?